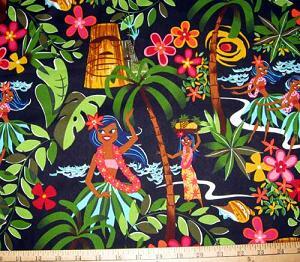 part of the Alexander Henry Fabrics Beach Scenics Collection. largest hula girl is 6 inches tall. Straight from the bolt 100% Cotton Fabric.